LA28a series amplifiers have 28 dB gain. 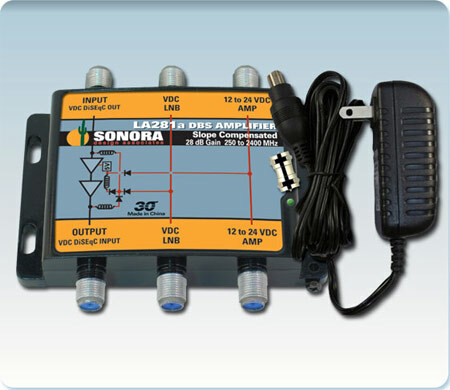 LA14a series amplifiers with 14 dB gain are available for smaller distribution systems. LAL20a series amplifiers with automatic gain are preferred in cascading systems of more than (2) amplifiers to simplify design and installation.